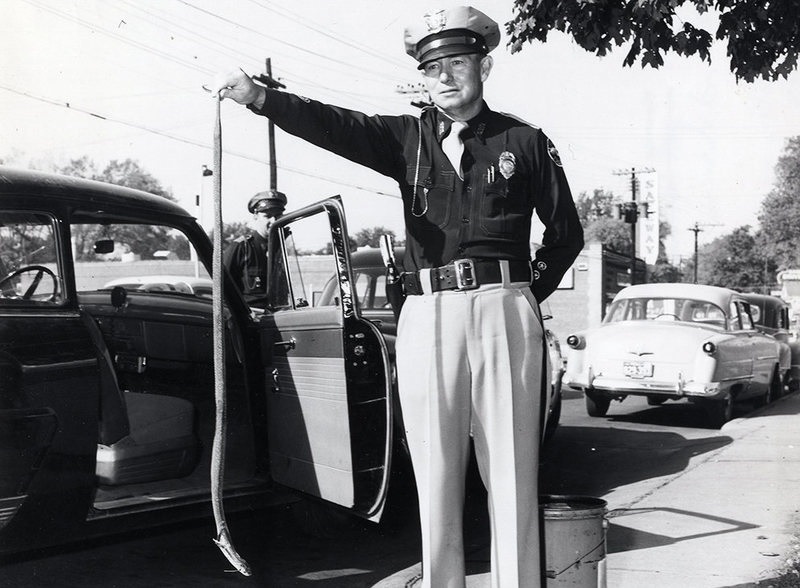 Let's go back to a quaint time in Springfield history... those pleasant few months from August to October of '53 when 11 Indian cobras were accidentally set loose on the streets. After the discovery of the first few snakes, Springfieldians became united in pursuit to stop the spread of these beautiful but deadly reptiles. The police and a brave science teacher were called in to help locate the snakes and identify a source of the outbreak, with all trails leading to a local pet store. The Scare began in the heat of August when a homeowner found a cobra slithering through their backyard. Another resident discovered one in their garage. Both snakes were 'taken out' using a garden hoe. Another unfortunate snake was run over by a car repeatedly while trying to cross the road. (Admit it, this would be most of us if we saw a cobra on Glenstone or the like.) Some Springfield residents got swept up in the excitement of the hunt and were said to have driven around town playing 'snake charming' music. This tactic, while hokey, was said to have led to the discovery of even more snakes in the Springfield area, or at least increased morale for the hunters. "This wasn't in my job description..."
The most strategic way of capturing one of the cobras was carried out by the Springfield Police Department when they cornered one underneath a house. Unable to draw it out with a long 'snake catching' pole, the police threw a tear gas grenade beneath the house which was enough to send the snake slithering away. The cobra was then shot with a pistol. The owner of the suspected pet store denied any accusations of setting the cobras free. It wasn't until 1988 when a man by the name of Carl Barnett sent the Springfield News-Leader claiming: "I'm the one that done it". Being a rambunctious 14-year-old at the time of the incident, Barnett was upset at the pet store owner for selling him an exotic fish that died shortly after taking it home. Seeking revenge, Barnett found a crate of snakes outside of the pet store and, assuming they were harmless, set them loose. Great Cobra Scare will go down in Springfield's history as being a time of glory, snake charming music, and car tires. Throughout the years there have been many odes to the Scare including themed cocktails and brews, like the one by our own Mother's Brewing Co. Overall, Springfield keeps the memories of the Great Cobra Scare alive because nothing brings people together like a snake hunt! 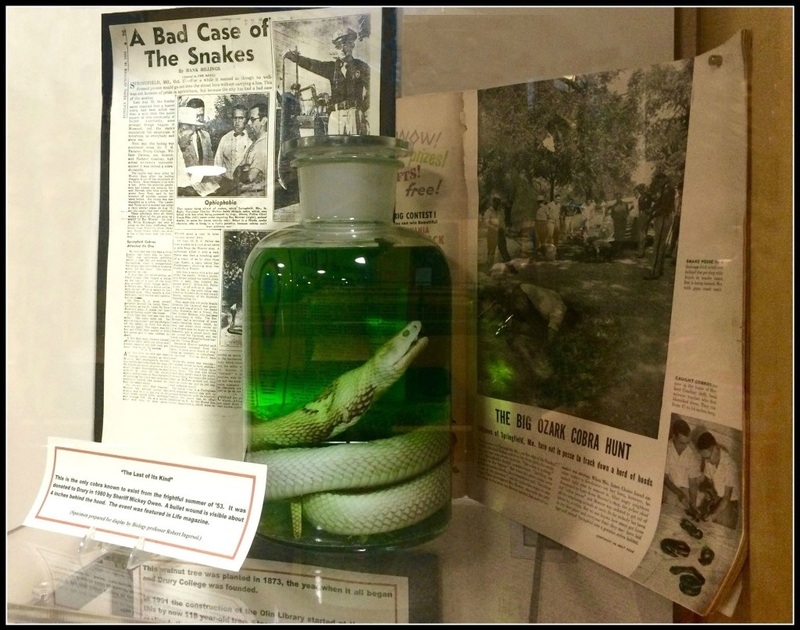 The only 'surviving' snake is kept safe and pickled at Drury University's Trustee Science Center. Check it out sometime! 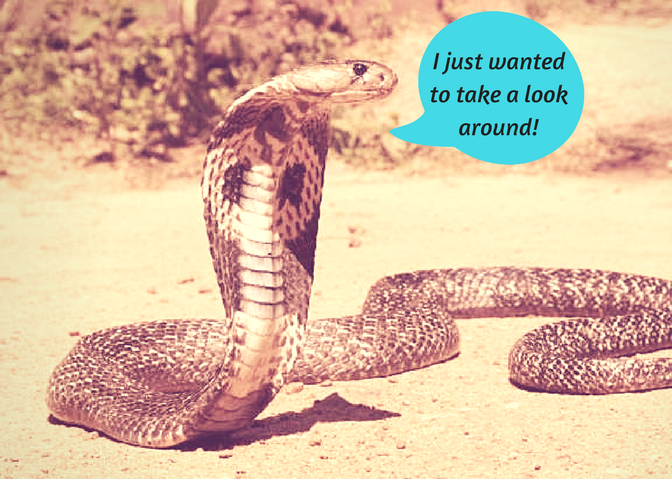 What would you have done in the Great Cobra Scare? Would you have stayed locked up inside 24/7, joined in the hunt brandishing a garden hoe, or would you have tried to capture the cobras to be sent somewhere safe? We'd love to hear your thoughts!